...I'm back. I'm sorry about the absence; this is probably the longest unscheduled hiatus from WSW I've been forced to take. Long story short, I was sick. I was really sick. Like had-to-go-to-the-hospital sick. I'm okay now, I was never on the brink of death or anything like that, but it obviously wrecked my schedule completely for the month. Nothing to be done about it now; I'm just sorry it had to happen. Moving forward, I've canceled some things and rescheduled others. I've got a review of William Shatner's new book Leonard, about the late Leonard Nimoy, on deck. My temporary old-movie moratorium is over, so expect some classic films to make their way back into the conversation here again. At this point there's a possibility I may not attend the Queens World Film Festival this year. I might spend that weekend with my pals Bibi and Eric instead, but that hasn't been finalized yet. It looks like this is where I'm leaning toward, and if that's the case I might be able to tell you all about it. Stay tuned. The Oscars: I don't think anyone expected Spotlight to upset The Revenant for Best Pic, but that was a pleasant surprise. 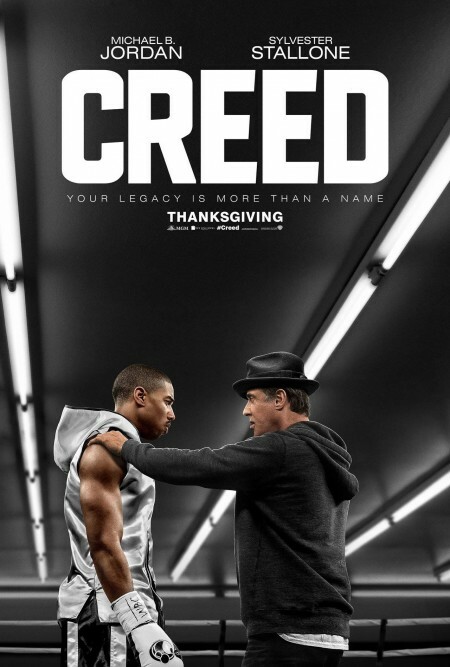 It's an excellent movie and it deserved the top prize. It's too bad it couldn't have won more than Picture and Original Screenplay, though. Yay for Leo finally winning a little gold man, as well as for his super-classy speech. Now how about throwing us a bone and doing a comedy for once instead of all these dramas? As for the "white Oscars" controversy, all I'll say for now is this: the obvious solution to seeing more people of color amongst the Oscar ranks would seem to be to make more movies with people of color. Any reluctance on the part of The Powers That Be to do so, for whatever reason, is gonna have to be overcome, sooner rather than later. 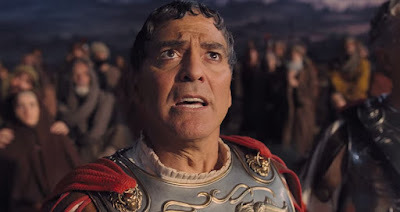 That said, and this is something I've said before and I'll say it again: historical dramas about black people overcoming prejudice and rising up from slavery and blah blah blah are all well and good, but what we desperately need much, much more of are movies that speak to who black people are today, in the 21st century. TV is starting to get the idea, with shows like How to Get Away With Murder and Scandal. Now movies seriously need to catch up. One last thing: my friend Batton Lash does a comic book called Supernatural Law, a witty and fun book about lawyers whose clients are monsters, witches, ghosts and other creatures of the night. He's got a Kickstarter campaign going for his latest volume, which is called A Vampire in Hollywood. Check out the incentives he's offering for this campaign and if you can, throw a buck or two his way. SL is one of the longest-running indie comic books still active, and for good reason. Give it a look. Before I begin, let me address the elephant in the room. The Revenant is not on this list. I didn't see it and I don't plan to anytime soon. Perhaps you think this makes my list illegitimate somehow, given all the acclaim this movie has received, and in a way, I can't say I blame you if you did think so. There's something you gotta remember about me and this blog, though: I am not a professional reviewer. I don't aspire to be one. I make conscious choices as to which new releases to see, and I pay to see them out of my own pocket. Given the often competitive nature of film blogging, there's pressure to see and write about certain movies because of all the hype around them. Everyone's gotta weigh in with an opinion about this or that. As a result, it's easy to forget that if I want to, I can also choose to not see a movie, and I think if I hadn't spent last year devoted to classic film and sitting out the Oscar race, I wouldn't have realized this simple fact. I'm not blind. I see that The Revenant is not I Spit on Your Grave, and when it comes time to make my Oscar predictions, I intend to pick it for Best Picture. Someday, years from now, when all the buzz around it has subsided, I'll sit down with it and see what the big deal is about. If WSW is still around by then, I'll even blog about it. Watching a movie about the making of movies is a little like seeing how hot dogs are made. You may enjoy them, but witnessing the process that goes into how they're made has the potential to take away some of the enjoyment. Sometimes you just wanna surrender yourself to the magic spell they weave while you're watching them. Do you really need to know how Buster Keaton set up that shot where the wall falls on him but he stands where he won't get hurt to appreciate its awesomeness? Is knowing how many takes it took Bogey to say "Here's lookin' at you, kid" make hearing him say it in the finished product any better? Still, I like plenty of movies about making movies, which is why I felt kinda let down with Hail, Caesar! 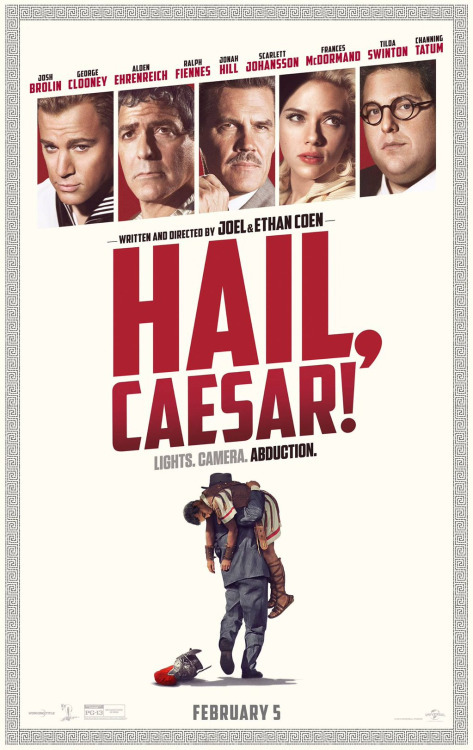 Don't misunderstand; a half-baked Coen Brothers movie is still superior to 90% of the movies out there, and this one had lots to feast on, especially if you're a fan of Old Hollywood. Seeing modern actors like George Clooney and Scarlett Johansson and Channing Tatum in reasonable facsimiles of studio-era Hollywood movies is a reminder of the great contrast between the kind of movies we loved then and now. That said, I wish I cared more about these characters. 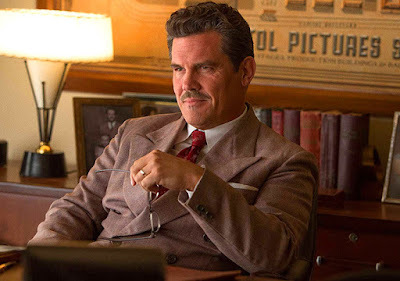 Josh Brolin leads the cast as a studio "fixer," the guy who sweeps potential scandals under the rug and keeps them out of the media, inspired by real-life MGM fixer Eddie Mannix (right down to the name). We see him do stuff like that, and we see him ponder leaving Hollywood for a new career, but none of it, to me, went much deeper than the surface. The same goes for the other characters. It was like, okay, here are these actors we love in a 50s Hollywood setting, now let's watch them interact. I accept that not every movie the Coens make is gonna be No Country For Old Men or Fargo; in fact, I appreciate the fact that they're willing to let their hair down every once in awhile and not care about making movies that win Oscars. Still, Caesar didn't seem to have enough meat on its bones for me to be able to take it on its own terms. Also, it wasn't that funny. I was flush this week, so I thought I'd take a trip back to the Alamo Drafthouse in Yonkers to see Caesar. I left three hours in advance and I still almost missed my showtime - and it's not like I had a lot of delays on the subways or buses. The bus from the 4 train takes longer to get to the Alamo than I remembered. About halfway during the ride, I looked intently out the front window to make sure I didn't miss my stop, and every time I thought I was close, I wasn't there yet. The Alamo is part of a large strip mall set way back from the puny sidewalk, and there's this giant swath of parking space in between. It's ridiculous. The crosswalks are set fairly far apart on the straight, wide street with all its fast-moving cars. Within the parking lot, there's no safe place to walk until you get to the theater, which might as well be in another zip code. The entire area, not just the mall, is geared for the sole benefit of cars at the expense of people, and the worst part is this is by no means unusual. And yet, the Alamo is totally worth going through all this trouble. I walked into the auditorium as the trailers played and flipped through the menu. I thought about trying their pizza, but I couldn't decide on which one to pick, and I didn't wanna miss the movie, so I settled on a chicken fingers-and-fries platter, with a glass of their awesome root beer. It was good (fries were a bit stiff though), but once again I marveled at simply being able to order restaurant-style food this way, with a wait staff to discreetly take my order and serve it at my seat as the movie plays. It's such a treat. I just wish I could do this more often. A quick glance at the main Alamo website says that the downtown Brooklyn location is "coming soon." It can't come soon enough, in my opinion. Just kidding. Wanted to see if you were paying attention. The 2016 O Canada Blogathon is an event devoted to Canadian actors and films, hosted by Speakeasy and Silver Screenings. 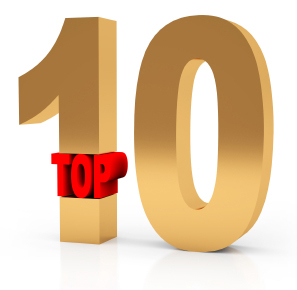 For a list of participating bloggers, visit the link at Speakeasy. 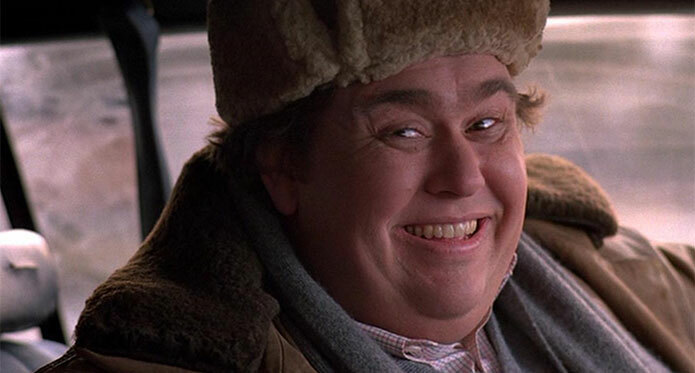 I remember being dragged to see Uncle Buck when it first came out. I forget which group of friends I was with; it was probably my high school friends. I have absolutely no idea why I didn't think I would like what was a relatively harmless comedy. My movie tastes were still vague and unformed back then. On the other hand, maybe I wanted to see something else and was outvoted. Possible. 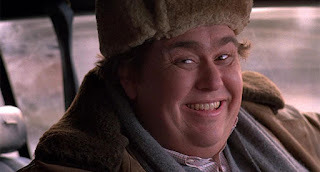 Point is, I liked Uncle Buck and I liked Candy. It was one of the first times the comedian had a starring vehicle for himself after years of sidekick roles and bit parts, and he got to put a spin on his lovable oaf persona with a lead character that had more of a sardonic edge. Small wonder it became one of his biggest hits. I remember being sad when Candy died in 1994. By that point, I had seen more of his movies on cable and I got to appreciate him better. He may not have been a superstar on the level of contemporaries like Steve Martin or Bill Murray or Eddie Murphy, but his was always a welcome face in a movie, no matter how big or small. The Newmarket, Ontario native kicked around Canadian TV during the early days of his acting career until he joined the Toronto branch of the comedy troupe Second City in 1974. The original Second City theater opened in Chicago in 1959 and the Toronto branch opened in 1973. (I remember going to SC when I visited Chicago in 1997. Liked it a lot.) The emphasis was and is on improvisational sketch comedy. Candy joined a troupe which included, among others, future comedy legends Dan Aykroyd, Gilda Radner, Eugene Levy and Catherine O'Hara. In 1976, they launched the TV show SCTV which, like its American cousin Saturday Night Live, revolved around ensemble sketch comedy, often featuring memorable characters, such as Candy's obnoxious TV star Johnny LaRue. If you grew up in the 80s, you remember the movies he appeared in: Stripes, National Lampoon's Vacation, Little Shop of Horrors, Planes Trains and Automobiles, The Great Outdoors, etc. I guess I liked him because he seemed so easy to relate to. He didn't need to yell and scream; he didn't have a specific shtick; he just seemed to fit in well with whatever role he inhabited. He complimented guys like Martin and Murray and Hanks, and you felt like his characters had heart. Don't take my word for it, though; check out what Eugene Levy had to say about him. Candy had a small role in the Oliver Stone drama JFK. Had he lived, would he have followed in the footsteps of Martin and Hanks and Robin Williams by pursuing drama further? I think he could've easily done it. I could see him as part of a Paul Thomas Anderson ensemble, for instance - but I wouldn't have wanted him to make it a permanent switch. 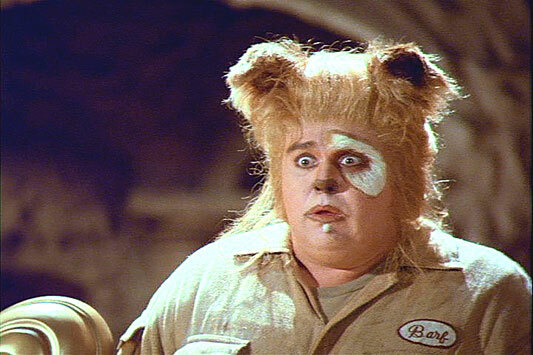 Last year, Second City Toronto opened the John Candy Box Theatre, a training ground for up and coming comedians. Among those who helped launch it was Candy's daughter Jen, who 's pursuing a stand-up career herself. Here she is in a TV interview the day after the opening, talking about her father. 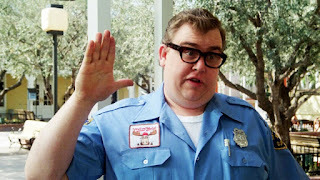 I think John Candy would still be active today had he lived: maybe as part of a cable TV show, maybe making indie films, maybe going back to theater. He was too good an actor to go out of demand. I miss him. I'm glad he gave us what he did, while he did. 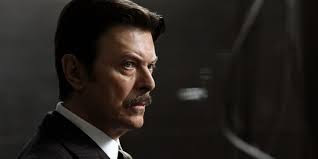 Unfortunately, I don't have any interesting stories related to the music of David Bowie. I never saw him in concert, nor did he inspire me to explore my sexuality or anything along those lines. Like many people, I simply dug his music, and I'm really sad to see him departed from this life. As an actor - and he had been one almost as long as he had been a singer - he had an eclectic range of roles, as you would expect from one who took on roles in his musical performances: Pontius Pilate in The Last Temptation of Christ, Andy Warhol in Basquiat, Nikola Tesla in The Prestige, and this is in addition to his more famous roles in The Hunger, The Man Who Fell to Earth, and of course, Labyrinth. The man was a true original. 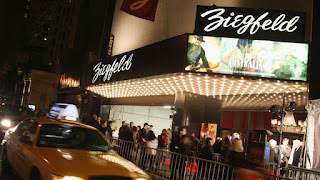 I can say a few more words, however, about the Ziegfeld Theater, which finally closed its doors for good last month. I didn't go there that often, but it seemed every time I did was like an event. The Ziegfeld I knew was not, of course, The Ziegfeld; not the original. I like to think, however, it lived up to its namesake. It was a splendid place to watch movies, especially the large ones. I had the privilege of seeing two 70mm films there: The Master and Interstellar. I also remember standing on line around the block with John & Sue to see both Attack of the Clones (sitting in the back, mocking Anakin and Padme) and Return of the King (wondering how many times it would end). The heyday of the old midtown movie houses had passed by the time I came up. I was too young for the grindhouse-era 70s and I'm certainly too young to have experienced the glamour days of the 30s and 40s. The closing of the Ziegfeld means the severing of the last tie to that era, where a night at the movies in midtown Manhattan was a spectacle, a gala event. The Ziegfeld was a reminder of what that period was like, and there are precious few of them remaining - at least, that still show movies. Moving on to lighter news: I have Photoshop again, as you can tell from the new banner. A dude in my writing group discovered - quite easily, too - something I should've figured out for myself: the program just needed to be reinstalled! Duh! Oscars are this month, though I don't expect to do well predictions-wise. I have to remind myself that what I want to win and what I think will win are two different things. Still undecided on whether or not to see The Revenant. At this point I could go either way. If you only click on one of these links (though naturally I hope you check out all of them), make sure you read what Jacqueline calls her "manifesto" on Donald Trump, classic movies, and education. Ryan eulogizes Bowie way better than I could. Ruth remembers another British thespian who passed last month, Alan Rickman, with her favorite films by him. Two reviews of two absolutely bizarre-sounding movies: Kristina from Speakeasy writes about The Madmen of Mandoras and Angela from The Hollywood Revue talks about The Phynx. Courtney thinks The Hateful Eight has a race problem. Pam bids adieu to a favorite movie theater from her childhood. Aurora talks about the cinematic duo of director Billy Wilder and star Jack Lemmon. Retrospace's excellent podcast, The Horshack Redemption, does an all-sci-fi episode which includes discussion of The Force Awakens.